Gift your dark chocolate lover the perfect gift set! 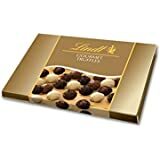 Includes selections from the best in chocolate - Ghirardelli, Dove, Lindt and Hershey! Includes gift bags, full dark chocolate bars, individual Hershey kisses, Ghirardelli squares and more!